Triggered by the demand an incubator which temperature can be set digitally and also has a higher volume, we launched a a new incubator model. 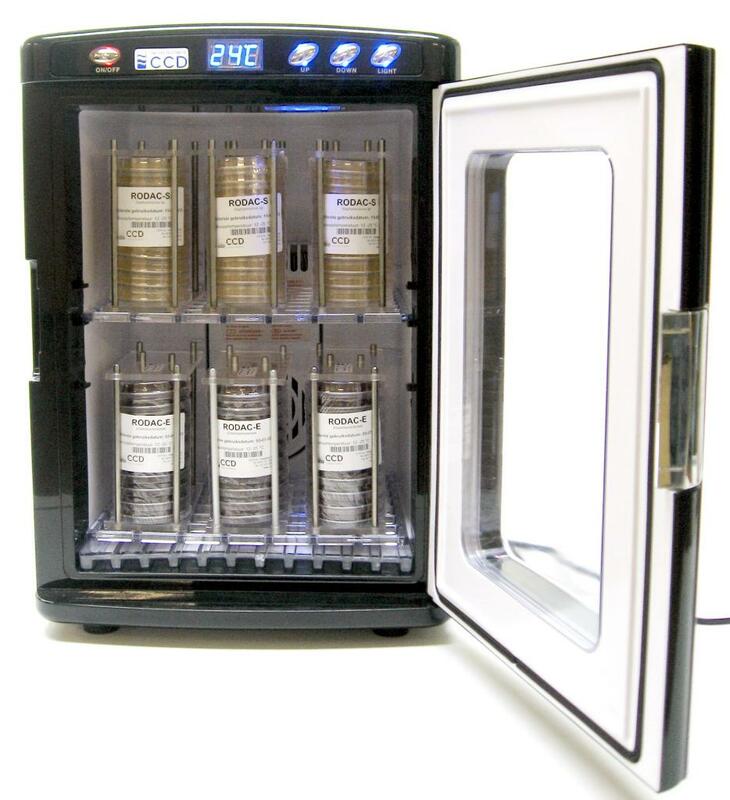 This digital incubator offers an economical and space-saving solution for microbiological applications. The temperature is adjustable from 5 ° C - 60 ° C in steps of 1 ° C.
The temperatures can be set digitally, at 37 ° C for the rodacs or at 32 ° C for petri films. For the purpose of the temperature stability and uniformity, the air (by means of an internal fan) kept in motion. The incubator is provided with a door with a transparent window and a switchable indoor lighting. The housing and door are double issolated.